I’ve reviewed a lot of products over the years and this may be the best. After only a few 15 minute sessions on my heated acuball massage ball my nagging chronic back pain was gone. Why didn’t anyone tell me about the acuball massage ball before? It is simply amazing. LOVE IT! The acupoints also stimulate your Central Nervous System, like acupuncture does, to release natural painkilling, relaxing and mood enhancing chemicals like enkephalins and endorphins. Because of this, people who use the acuBall massage ball in bed, before retiring for the evening, often report enhanced feelings of relaxation and deeper sleep. 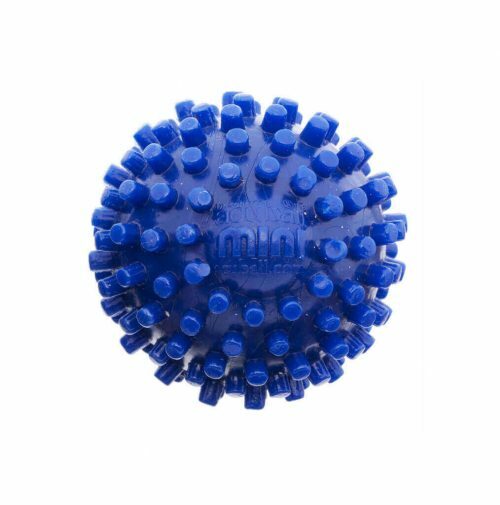 When you use the acuBall massage ball on a tender area, you’ll notice that after three or four 20 minute sessions it’s a lot less tender than when you first started. Now you know why: wastes have been flushed out, muscle has been relaxed, joints have been mobilized, and your nervous system is much less irritated…and so are you! 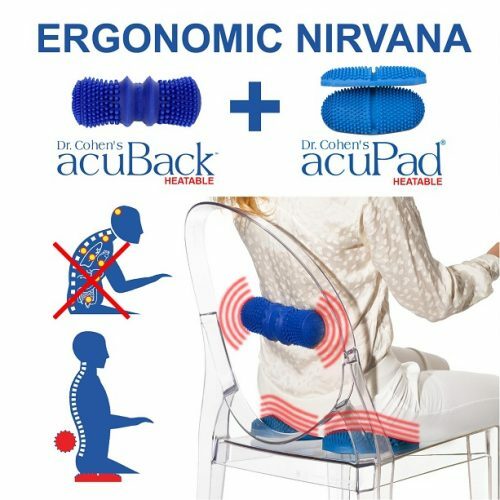 Combines patented heatability, Spine Align Belt (a recessed groove around centre of acuBall massage ball allowing users to loosen tight spinal areas) with precision acupressure points that penetrate and separate tight muscle and connective tissue. Use the small nibs on the bottom of the acuBall massage ball to release tension lines in your face and massage your scalp. Works great in combination with any of our other products. A must have! Use our Click Where You Hurt feature on this website and/or download the acuProduct APP (Android, iPhone) for FREE full video instructions. I am a big basketball player and when I learned the Raptors used Dr. Cohen’s stuff I had to try it. So glad I did! Big big difference in my gluts, back and neck after only a few weeks of use. Excellent value considering how much I have already saved on Chiro and massage. Really great product. The Raptors know what they are doing. I purchased the Acuball Massage Ball when it first came out and have been using it ever since. I have chronic neck and back pain with massive headaches. The Acuball Massage Ball assists in providing some of the relief needed for me to survive exacerbations of the discomfort. It helps me to be able to fall asleep when otherwise I would not be able. The heat reaches deep into the trigger points when everything else I have tried does not. It is simple to learn to use and I would highly recommend it to others. I like the smaller balls to reach deep into some trigger points – I just wish the smaller balls could be made to be heated as well. I am ordering a second set! Thank you for its creation – it has literally saved me from great agony. I knew the ball by using it at the gym, great to release back tight muscles. Good quality and promptly delivered. The Acuball Massage Ball and Acuball mini have been such a great help to me! 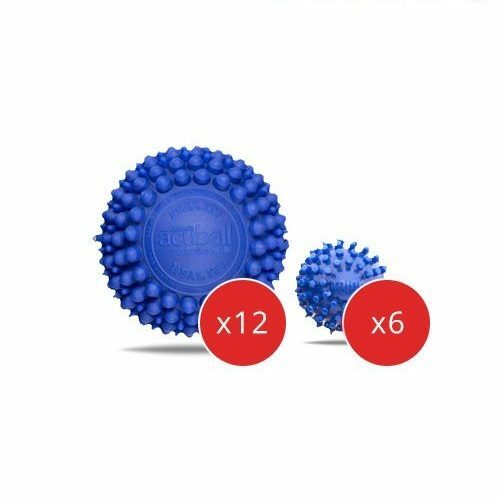 I have back and neck issues due to old injuries and these effectively target the muscles that need attention. I find them most effective when heated but I also use them unheated. It can be tricky to line up the spine align belt when using the Acuball Massage Ball on my back but once it’s positioned correctly and hits the right spot it feels incredible. In my experience, it only feels uncomfortable or hard if I have placed it in the wrong area. I owned the AcuPads first and still like them a lot but the Acuball Massage Ball allows for much deeper and targeted acupressure and release. The book that comes with this system has lots of great usage tips. Since I own both systems from TSC, I now have a collection of 3 Acuball Massage Ball minis and they are invaluable because they can target the deeper muscles in my back, neck, and shoulder (the latter often hurts when my neck pain is most severe). I’ve even used all 3 at once! Love the Acu Systems overall but the mini continues to be my favourite. I’ve been using these therapy products for months and am still amazed by the amount of relief I can get from a 20-40 minute session treating a problem area; the tension and knots really loosen up. I don’t know what I would do without these! This certainly earned, and deserves each star! I have been using this for months now, and thought it was time to review. If used on a regular basis, this will/does exactly what it claims to. So impressed with the results, I have returned to purchase the Acuback, as it will target that region better than the ball. Thank You.. Dr. Michael. The big ball is my holy grail and I love it so much I bought another sets! It gets rid of my knots on my shoulders/back and helps relieve pain on my arm. I got two sets, one for home and the other for the office. I am using the smaller balls right now to alleviate pain in my thumbs from computer and texting. I have been a clerk/secretary my whole life (64 yrs old) and I am trying to break down scar tissue from carpel tunnel surgery. I suffer from fibromyalgia and rheumatoid arthritis. It has helped with the pain in my neck and shoulders. Every night before bed I heat the big acu ball for 1 minute and place it in the back at the base of my head where the neck joins. Amazing relief right away and I wake up fresh the next morning. My massage therapist has shown me ways to use the small balls to help my shoulders and arms. I use them as I sleep which makes it so convenient. If your suffer from pain it is worth a try. Truly amazing product. I thought the Acuball Massage Ball was probably a lot of hype but I liked the idea of having something that could loosen those tight knots in my back and shoulder, so I ordered it. What a difference! I place the small ball between my back and the wall and gently work it up and down over the tight muscle and after a few minutes the tightness is gone–and so it the pain! 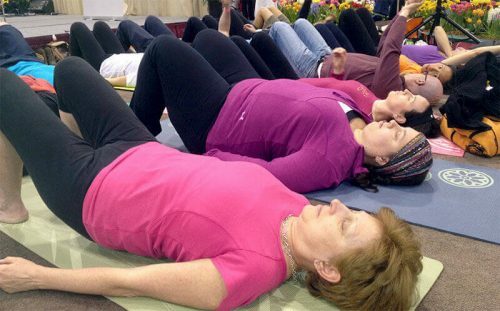 I have also used the large ball by lying on my stomach on the carpet and placing the ball under my navel to give wonderful relief to low back pain. I would definitely recommend this product. I have found such wonderful relief with this product. 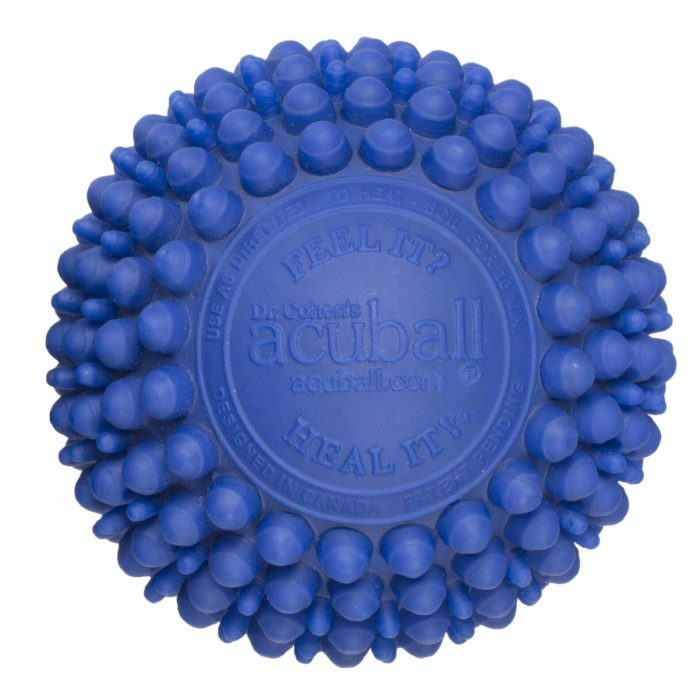 I have back, neck and hip problems and have been using the Acuball Massage Ball for over a year now. If you haven’t used it before and your muscles are really tight then it will feel a little painful at first but if you persevere, the relief is unbelievable . When you take the Acuball Massage Ball out of the microwave it feels slightly warm but don’t let that fool you as the heat keeps building as you use it and seeps into your tight muscles. I won’t travel without it! Even without heating I find relief. I just bought a second one for my son who was having back problems. I would recommend this product to everyone with pain issues….it’s amazing! I got the Acu-ball Massage Ball almost three years ago now and use it quite regularly. It really works to loosen tight muscles in my lower back. Thankfully, I don’t have to much to complain about pain but I do get stiffness in my lower back and the acuball massage ball pressure points do the trick in loosening it up. Love that it is an all natural way to address stiffness of the muscles. I’ve used the small ball on my feet which can be tender, muscles are more on the surface on the feet but after some time turns into a massage. I am thinking of getting the other back model too. Will be using the acuball massage ball and acuback for years to come I am sure.